The name Kassandara is derived from the Herero word “The Place of the Big Snake”, Okozondara – Okoz (meaning place) Ondara (meaning snake). Discover the ultimate dream of our bow and rifle hunting facilities. 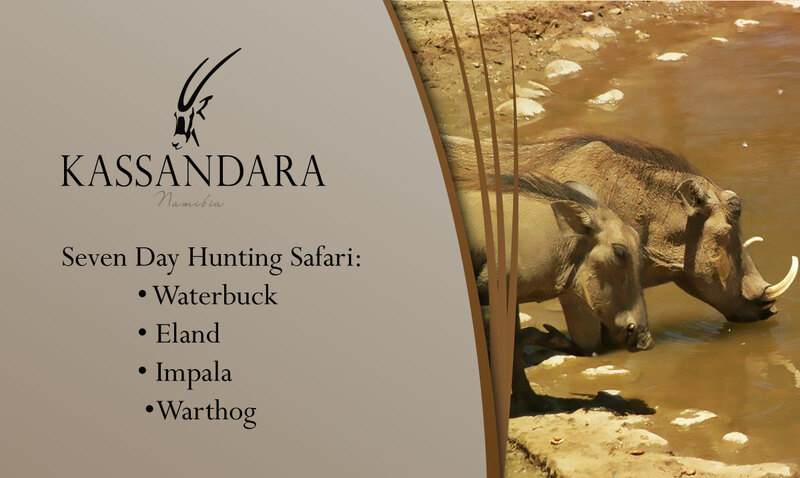 Kassandara Hunting & Safari Ranch presents the hunter with 10 000ha of privately owned, prime trophy hunting land. Kassandara Ranch offers fair chase and ethical hunting in a malaria free area. Our trophies often enter the record books, as our hunters take exceptional specimens of Kudu, Impala, Eland, Oryx, Leopard, Zebra, Springbok, Steenbuck, Duiker, Red Hartebeest, Waterbuck, Giraffe, Black or Blue Wildebeest and Warthog. 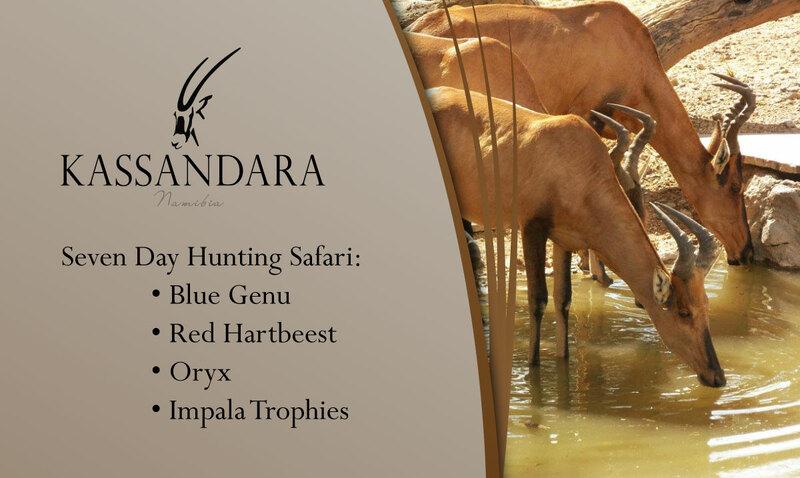 As your hosts at Kassandara Hunting and Safari Ranch, we look forward to sharing with you the beauty and magic which we are so blessed to be the current custodians of. We truly hope to welcome you, your family and friends to Kassandara. 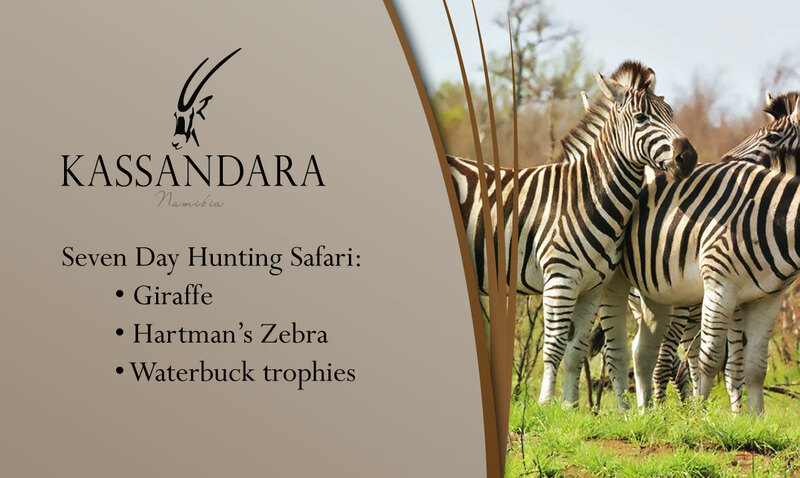 Kassandara Hunting & Safari Ranch has on offer prime trophy hunting for either the rifle or bow hunter. Kassandara Ranch is ideal for non-hunters and families, with comfortable, elegant, safe and secure accommodation. A varied number of activities are on offer showcasing the best of Namibia and the African bush. 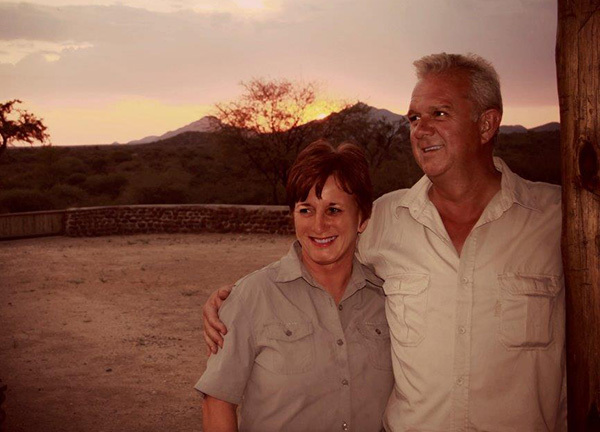 We offer a variety of comfortable, safari-style hunting accommodation, set in a relaxed Namibian atmosphere. This prime hunting land offers you, the desiring hunter, a wide variety of plains game and an excellent trophy selection. Was the greatest memories for my Wife and myself, and 12 & 10 year old daughters. Gained 10 pounds! Thank you! Great facilities. Impeccable service and food. A first class lodge in every aspect. Memories for a lifetime! Kassandara is a stunning place, with even more stunning people. Magic and captivating in every way. Namibia beckons where the unique Kassandara experience awaits with African safari’s, prize trophy hunting, 75 listed bird species, Nambian coastal fishing and more!